We know there’s more than one pathway to expertise. We also know that amazing things happen when we use our expertise to solve big problems. 2016 was an incredible year for world discoveries, learning, expertise, humanity, technology, and education. And one thing is for sure- we’re learning like never before. As we set our sights on 2017 we’re taking a good, hard look at what we learned in 2016. We’ve collected stories, data, and lessons from the past 12 months, and put it all together. 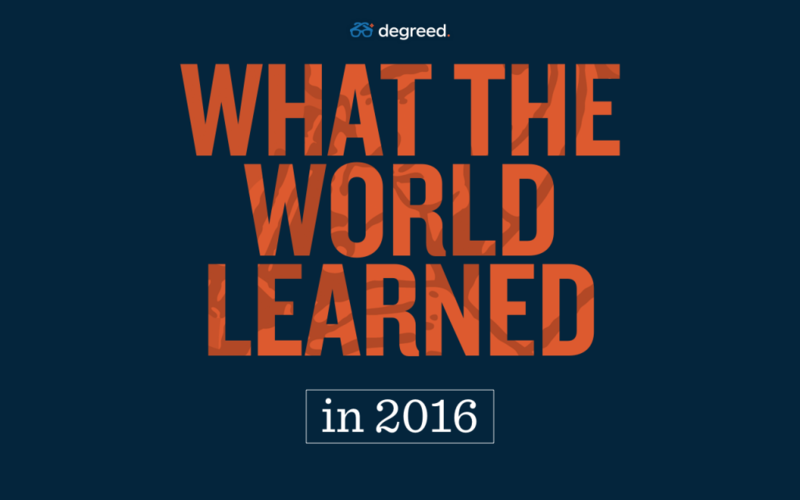 So, what did you learn in 2016? What will you learn in 2017? If you want to make all that learning matter, you know where to find us.